Mom's Gone Bronson! : Great Gifts for Grads at Best Buy! Do you have a grad that is always on the go, a social butterfly or always looking for the next big thing to share with friends and family from wherever they may be? Are they a networking, technologically savvy grad, dependent on the latest gadgets and devices to keep up with the day to day and the world around them? 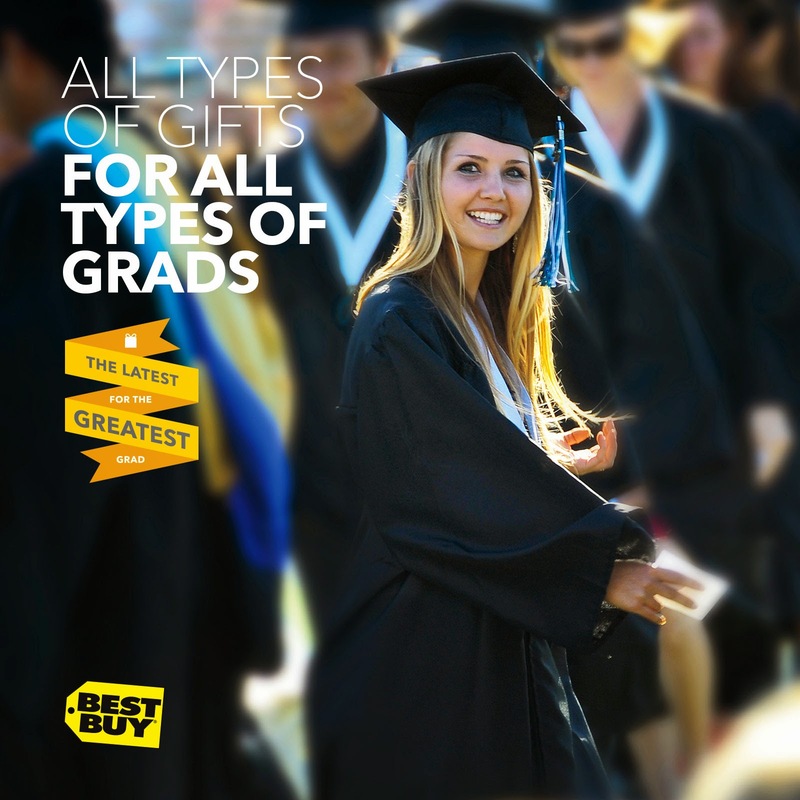 If so, then Best Buy has some great gifts that your grad is going to adore! For someone like me, a writer, who is always online, can't turn away from the next new thing and who is constantly sharing media, I would be lost without my camera, my cell phone and my laptop and I would be thrilled to recieve a $50 iTunes gift card to top up my play list to keep me entertained, while on the go, too! Something like the $50 iTunes gift card is a great way to allow your grad to select their own content and download to their hearts content, which is even better if you're not quite sure what they need or what if they already have a long list of tech devices and gadgets at their disposal! You might also want to consider an iPhone 5s if they need an upgrade - a great way to keep in touch in more ways than one, and I am sure your grad would not turn one down! Alternatively, you could surprise your grad with a Lenovo Yoga 2 13" Touch-Screen Laptop, which is something I wouldn't mind for myself! With the latest in touch-screen technology and on the go convenience and connectivity, your tech-savvy grad can work and play on the go with this sleek machine! 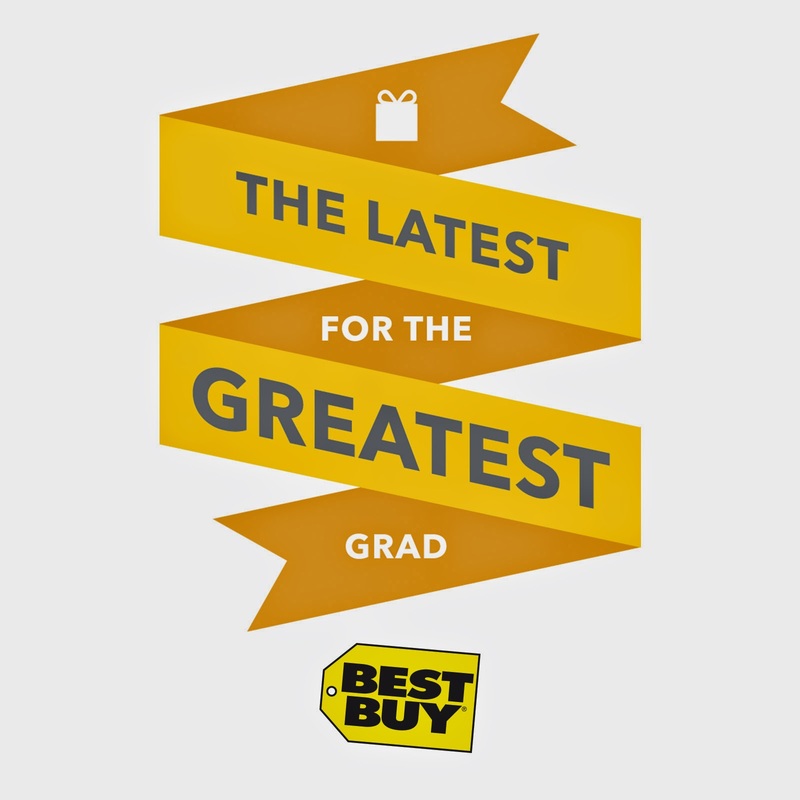 Why not take a look HERE and see what other goodies Best Buy has to offer your grad, this year! There really is something for everyone and you never know what you might find for yourself, too! All personal opinions are my own and your views may differ.